If you have been presented with an employment contract or severance package, it likely contains a statement that you have been given the opportunity to have the document reviewed by an attorney. The fee involved for our review of your contract or a severance and release agreement is money well spent. We will examine the significance of signing the agreement or release, explain your rights, duties and obligations under the agreement, and analyze what claims you may have and what you are giving up if you sign the release or accept the severance package. 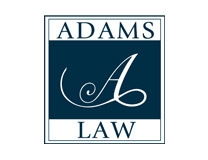 Adams Law is also able to negotiate with the employer in an effort to obtain better contract terms or more severance pay for you.